- Words “if any” proposed to be added in sections 22(2),46(1) after the words common seal consequent to making common seal optional. Sub-section (6) of section 124 proposed to be amended by substituting the words “unpaid or unclaimed dividend has been transferred to the Investor Education and Protection Fund shall also be” with the words “dividend has not been paid or claimed for seven consecutive years or more”. The purpose of the proposed amendment is to clarify that section 124(6) shall not apply where dividend has been paid or claimed by the investor in any of the 7 years before the year in which unpaid/unclaimed dividend is to be transferred to IEPF. Section 143(12) as originally enacted requires auditor to report frauds against the co. by officers/employees of the co. to Central Government irrespective of amounts involved in the fraud. Below the threshold, it will be reported to the Audit Committee). Loans made under clauses (c) and (d) are utilized by the subsidiary company for its principle business activities. 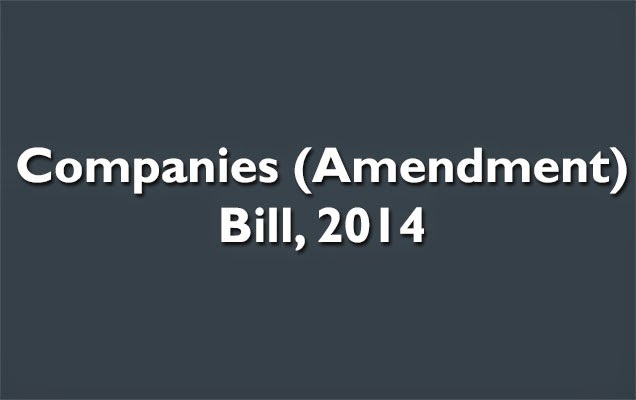 Net effect: Exemptions provided in Rules proposed to be incorporated into the Act itself. No net change.